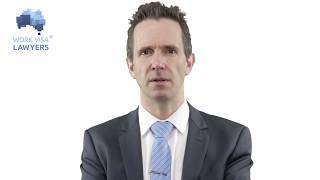 What is the change to condition 8107 applying to 457 visa holders? The Government has made change to the Migration Regulations by amending condition 8107 to provide that a 457 visa holder can only cease employment with an approved sponsor for 60 days. The relevant section used to provide that the holder could cease employment for 90 days. The change to condition 8107 applies from 19 November 2016. The effect of this change is that if a 457 visa holder loses their job, they now only have two months to find a new employer and get a nomination approved to work for that employer. 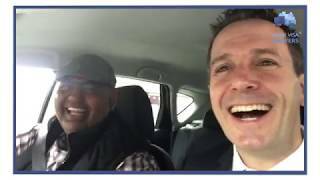 How does the change effect 457 Visa holders? When a family unit makes the brave decision to move to Australia in pursuit of work opportunities it is often a category 457 visa that is granted to them by the DIBP. For example, a 457 visa may be issued to provide entry for two parents and two school aged children under strict conditions. Typically these families have gone to considerable expense to fulfil the required medicals , move to Australia and begin the resettlement process with new home and schools etc. 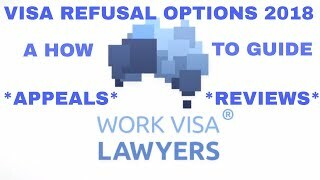 The ever-present risk for those who arrive under a 457 visa is that the work that they have come to do may not stay available. For example the primary visa holder may lose his or her job at short notice. The government will be applying a change to condition 8107 from 19th 2016 by reducing the amount of time that a Visa holder has to secure a business sponsor from 90 days to 60 days. When a job has been lost, there are four main problems with condition 8107 in terms on how it impacts on the 457 holders. The first problem is that condition 8107 does not allow the primary visa holder to work for anyone other than the company that made him or her redundant. Therefore, even if the visa holder is fortunate enough to find another employer willing to be a sponsor, they cannot start working for this new sponsor until DIBP has processed the application which can take several months. This places great financial pressures on 457 Visa holders and increases the risk of holders taking up unlawful employment to make ends meet. DIBP currently takes several months to process any stage of the 457 process. It is commonly taking more than 90 days to get a decision from the time of lodgement, compounding the financial implications for the Visa holder. The DIBP is taking 40 working days, which is 54 calendar days, just to allocate a case officer. The primary 457 holder cannot start employment for the new employer until the sponsorship application is approved. This application process is likely to go a long way beyond the 60 days, and even if DIBP does not cancel their visas for ceasing to work beyond 60 days, they face an extended period without income. Thirdly, a 90 day window to find a new employer (offering an identical position) and lodge requisite paperwork was already a difficult challenge. The 457 visa holders are often professionals with specialised skills. For example, for a Biochemist 457 holder, finding another Biochemist role in 60 days is a difficult task. A 60 day window is unreasonable for both prospective employer and visa holder. The fourth problem with reducing the time to cease work from 90 to 60 days, relates to exposing visa holders to exploitation by employers. This current initiative will actually increase the power of employers and make 457 visa holders more vulnerable to threats. 457 holders will know that the possibility of finding a new sponsor in 60 days and getting then nomination approved is low. So 457 holders may be forced to stay with the current employer even if they are not being paid correctly or are subject to other forms of exploitation. A more compassionate approach from the Department of immigration would have been to give 457 Visa holders who have lost their jobs, the right to work for other employees during that period so that they can financially support themselves. This would also enable them to do work trials and find another employer more effectively. This is not such a radical suggestion. There are approximately two hundred thousand of working holiday makers visas granted each year, who can do any type of work. The number of 417 visas granted in the year 2014 to 2015, was 214,830. There are also students visa holders that can do any type of work, capped at 40 hours per fortnight. The number of 457 holders including family member in the quarter ending March 2016 was 177,390. The number of 457 visa holders, that had lost their job would be very small, probably less than 5,000 at any time. The current changes to condition 8107 could be described as kicking people when they are down. Rather than supporting vulnerable workers and their families, the changes deny them any income and then force them to leave ASAP. Whilst there appears to be empathy for student visa holders when exploited by employers there is little empathy or compassion for 457 skilled workers and their families when they lose their jobs. 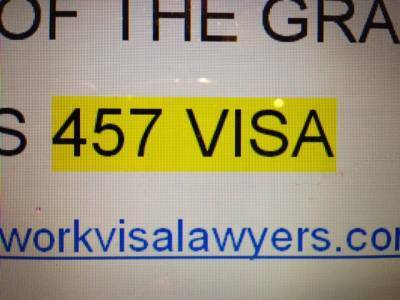 If the 457 holder cannot find another employer then they will ultimately have to leave Australia when their visa is cancelled. The process, as proposed by this change, does not have to be so mean and humiliating.